Gunpowder & Sky has partnered with Brightlight Pictures to produce Summer Of ‘84. The horror-thriller is set in 1984 and centres on 15-year-old neighbourhood conspiracy theorist Davey Armstrong who suspects his police officer neighbour might be the serial killer all over the local news. He and his three best friends begin an investigation that soon puts them in danger. 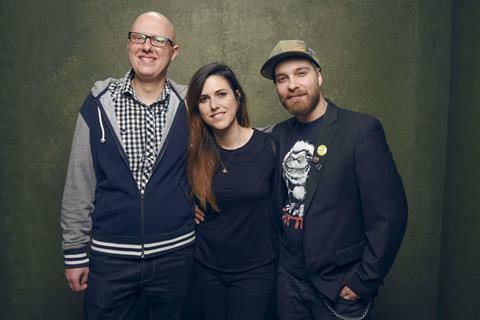 François Simard, Anouk Whissell and Yoann-Karl Whissell of RKSS (Roadkill Superstar), known for 2015’s Turbo Kid, will direct the film that is set to go into production this July for an end-of-year release date. Shawn Williamson, CEO of Brightlight Pictures, and Jameson Parker are producing the film. Matt Leslie will also produce and wrote alongside writing partner Stephen J. Smith. Their screenplay was featured on the 2016 ‘Blood List’ selection of the best dark genre screenplays voted on by industry professionals.